From stem to stern, north to south, the Outer Banks of North Carolina is made up of 10 small towns that flow together into one long vacation paradise. Of course, this number includes Corolla, NC, on the northern end, which is technically in Currituck County, and Ocracoke, NC, on the southern end, which is technically in Hyde County (not Dare County, as the rest of the Outer Banks towns are). But locals and knowledgeable visitors recognize that, despite any official designations, both these bookend towns have long been considered part of the real Outer Banks. In case you know little about this area, we’ll give you a geographic rundown on these Outer Banks towns, starting north: Corolla, Duck, Southern Shores, Kitty Hawk, Kill Devil Hills, Nags Head, Manteo, Rodanthe, Waves, Salvo, Avon, Buxton, Frisco, Hatteras and Ocracoke. If you drive from one end to the other, counting in ferry time, it would take you about three hours. 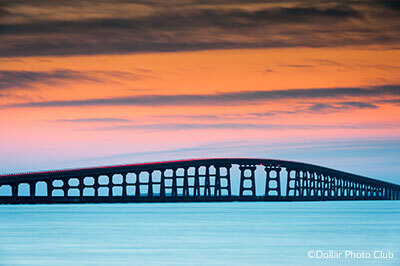 If you’ve not spent much time here, you won’t realize when you leave Kill Devil Hills, NC, and enter Nags Head, NC. We locals know, but even we go on sight — i.e. we probably couldn’t tell you the names of the streets that separate these Outer Banks towns. Here’s a funny thing: For years, vacationers have used the term Nags Head to describe their Outer Banks vacation, whether they were staying there or in Kitty Hawk. Somehow, Nags Head became a generalized directional term to describe the entire area of Kitty Hawk, Kill Devil Hills and Nags Head. The little describes the big. Similarly, yet oppositely, when people are headed to Buxton or Salvo or Rodanthe, they often describe their destination as Hatteras. The big describes the little. All these Outer Banks town nuances…enough to get visitors confused! Here’s a local’s bird’s eye observation: The northern end of these Outer Banks towns — Corolla and Duck — are the newest to the vacation destination scene, and as thus they tend to be a bit swankier, a bit more uptown looking with lots of “must have” amenities. The southern end — Hatteras Island and Ocracoke — is where you go if you want the simple Outer Banks towns of old where the amenities are more about simple pleasures. Here’s a local’s tip: Roanoke Island, with its incorporated town of Manteo and its unincorporated village of Wanchese, is an absolutely charming little place where some of the most popular Outer Banks attractions are found, where there’s a concentration of lovely B&Bs and small motels and where you can walk or bike almost anywhere you want to go. Yet, it’s not as busy as other Outer Banks towns. It quiet, has great restaurants and shops and is worth more than a day trip. Here’s an unabashed statement in support of Hatteras Island: Though there’s been lots of press about washed out roads, shoaled over inlets and beaches that can’t be accessed, don’t be fooled. 98% of the time, even if a storm has dumped some sand on the road near Rodanthe and Waves, they work like madmen to get it open within a day or two. Though the inlet between Hatteras Island and Ocracoke became shoaled after Hurricane Sandy, dredging opened it within a short time. And, lastly, there are tons of beaches that are accessible to 4WD vehicles on Hatteras Island. The NPS just closes small sections of beach during certain critical nesting times. 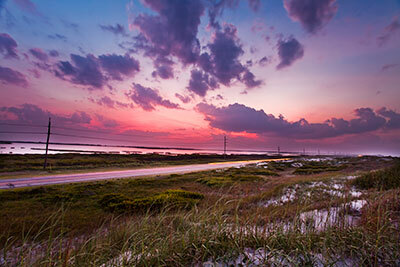 Hatteras Island and all her towns — Rodanthe, Waves, Salvo, Avon, Buxton, Frisco and Hatteras — are some of the best, most iconic, most nature-loving Outer Banks towns. And the locals will welcome you with wide open arms. Who wouldn’t want that? From here, click on each of the town tabs for some detailed information and history. By the time you get here, you’ll be an expert. Heck, you’ll even know how to pronounce Ocracoke!